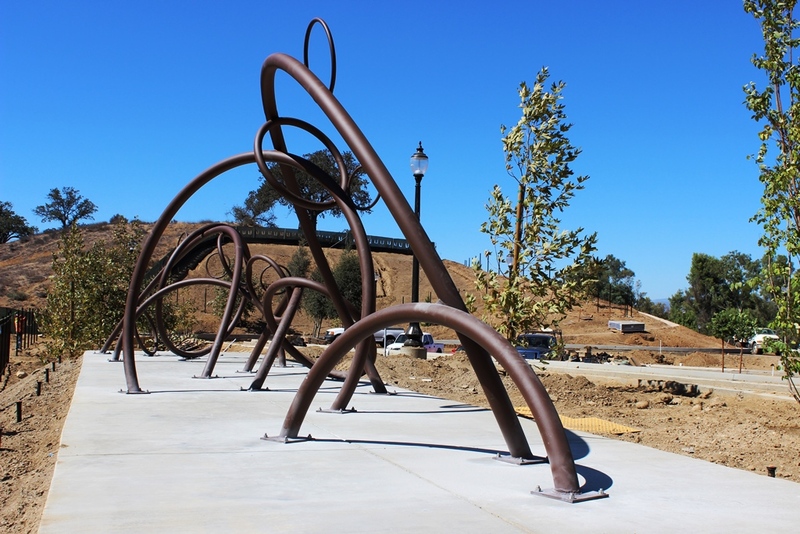 The City of Santa Clarita recently installed the newest Art in Public Places art piece at the McBean Park and Ride. 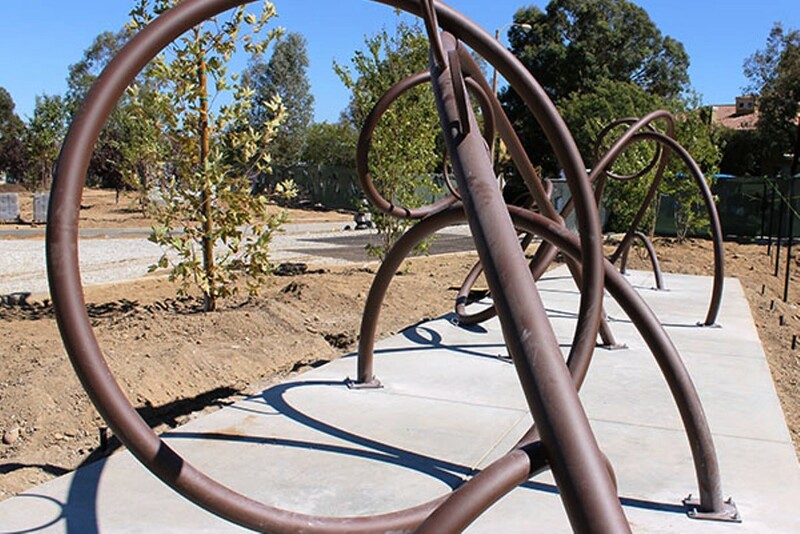 Artist team Mark Grieve and Ilana Spector created, Archways, a large composition of intersecting planes of steel hoops. The artwork provides the viewer a visual ride while going through daily activities, with an open-ended interpretation that changes the view and the art piece through time. 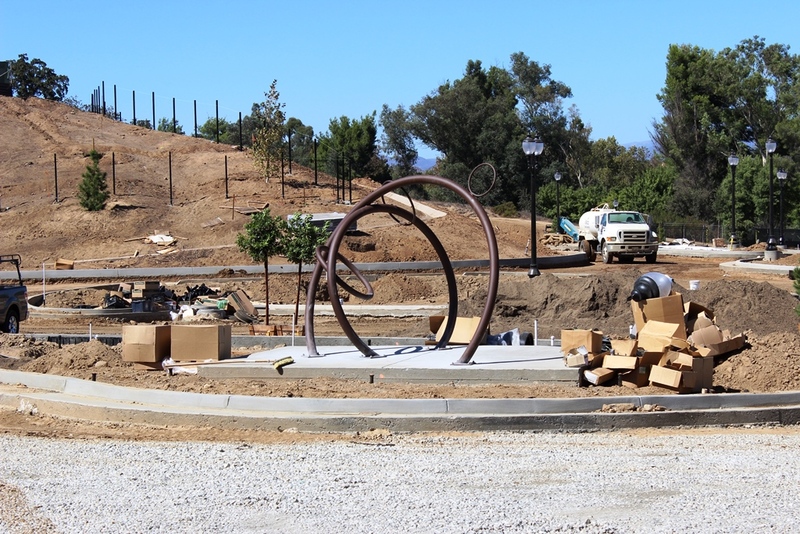 Located adjacent to the McBean Regional Transit Center, the 4.9 acre Park and Ride is planned to open in fall 2013. The project will include 280 parking spaces and a five bus bay platform to accommodate more buses. For more information about Art in Public Places, visit the City’s new Arts & Events page.